two times (known as "double time") the regular pay for their time worked that day. When a statutory holiday falls on a Sunday, Monday is considered a statutory holiday; if a statutory holiday falls on Saturday, Friday will be considered a statutory holiday. First Monday of February Constitution Day Día de la Constitución Celebrates the Promulgation of the 1857 and 1917 Constitutions (See also Patriotic holidays in Mexico). March 21 Benito Juárez's birthday Natalicio de Benito Juárez Commemorates President Benito Juárez's birthday on March 21, 1806 (See also Patriotic holidays in Mexico). May 1 Labor Day Día del Trabajo Commemorates the Mexican workers' union movements (See also Patriotic holidays in Mexico). Next observance: December 1, 2018. February 19 Mexican Army Day Día del Ejército Celebrates the Mexican Army on the date of its 1913 foundation and honor of the 1911 Loyalty March ("Marcha de la Lealtad"), when President Madero was escorted by the Cadets of the Military College to the National Palace. 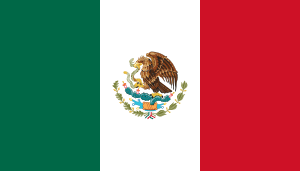 February 24 Flag Day Día de la Bandera Celebrates the current Flag of Mexico and honors the previous ones. Flag Day was implemented by President Lázaro Cárdenas in 1937. March 18 Anniversary of the Oil Expropriation Aniversario de la Expropiación petrolera Celebrates the Oil Expropriation by President General Lázaro Cárdenas in 1938. April 21 Heroic Defense of Veracruz Heroica Defensa de Veracruz Commemorates the defense against the United States occupation of Veracruz in 1914 by cadets, staff and faculty of the Heroica Escuela Naval Militar and personnel of the Mexican Navy. May 5 Fifth of May Cinco de Mayo Celebrates the victory of the Mexican Army, led by Gral. Ignacio Zaragoza against French forces in the city of Puebla, on May 5, 1862. Also widely celebrated in the United States. May 8 Miguel Hidalgo's birthday Natalicio de Miguel Hidalgo Commemorates the birth in 1753 of Miguel Hidalgo y Costilla, the initiator of the Mexican Independence War. June 1 National Maritime Day Día de la Marina Celebrates both the Mexican Navy and Mexico's civil maritime sectors. September 13 Anniversary of the "Boy Heroes" or "Heroic Cadets" Día de los Niños Héroes Celebrates the Battle of Chapultepec during the Mexican–American War of 1847 and the heroic and ultimate sacrifice that the Niños Héroes gave to the nation. September 16 Cry of Dolores Grito de Dolores Celebrates the Grito de Dolores, an event that marked the start of the independence war against Spain on the eve of September 16, 1810. It took place at a church chapel in Dolores Hidalgo, Guanajuato, led by a Creole Catholic priest Miguel Hidalgo y Costilla. See also Fiestas Patrias (Mexico). September 27 Culmination of the Mexican War of Independence Consumación de la Independencia Celebrates the end of the Mexican Independence War in 1821, 11 years after Father Hidalgo started it, with the victory of the Army of the Three Guarantees, led by Agustín de Iturbide and Vicente Guerrero . September 30 Morelos' birthday Natalicio de José Ma. Morelos y Pavón Commemorates the birth in 1765 of Father José María Morelos y Pavón, one of the founding fathers of the Mexican nation. October 12 Columbus Day Descubrimiento de América Commemorates the Discovery of the Americas in 1492 by the Italian navigator Christopher Columbus. November 23 Mexican Navy Day Dia de la Armada de Mexico Celebrating the 1825 capture of the San Juan de Ulúa Fortress in Veracruz led by a joint force of Mexican Army and Navy units (the capture of the fortress is the Navy's baptism of fire, on which its first fleet under Captain Pedro Sainz de Baranda served with distinction). January 6 Epiphany Día de los Reyes Magos Celebrates the Biblical New Testament story of the arrival of the three wise men who each brought a gift to the Christ child. Traditionally, children receive toys, and people buy a pastry called rosca de reyes. Anyone who bites into the bread and finds a figurine of the Christ child must host a party for the Day of Candlemas (February 2). It is not a state holiday. February 14 Valentine's Day Día de San Valentín Celebrates amorous unions. On this day, traditionally, men give chocolates, flowers, jewelry, dinner and serenade to their special women, as well as to their female friends. It is not a state holiday. April 30 Children's Day Día del Niño Honors all the children. It is not a state holiday. May 10 Mother's Day Día de las Madres Honors all the mothers throughout the country. It is not a state holiday. May 15 Teacher's Day Día del Maestro Honors all the teachers throughout the country. It is not a state holiday. May 23 Students' Day Día del estudiante Honors all the students throughout the country. It is not a state holiday. Third Sunday of June Father's Day Día del Padre Honors all the fathers throughout the country. It is not a state holiday. November 1 All Saints' Day (Day of the Dead) Día de Todos los Santos Honors dead relatives and/or friends (who were less than 18 years of age and unmarried) with candles, food and flower offerings, altars, and pre-Columbian and Christian rituals. It is not a state holiday. November 2 All Souls' Day (Day of the Dead) Día de los Fieles Difuntos Honors dead relatives and/or friends (who were more than 18 years of age or married) with candles, food and flower offerings, altars, and pre-Columbian and Christian rituals. It is not a state holiday. December 12 Day of the Virgin of Guadalupe Día de la Virgen de Guadalupe Celebrates the day that Our Lady of Guadalupe appeared on Tepeyac hill to the native San Juan Diego Cuauhtlatoatzin. It is not a state holiday. December 16–24 Las Posadas Las Posadas Commemorates the Biblical New Testament story of Joseph and Mary's search for shelter in Bethlehem. Consists of candlelight processions as well as stops at various nativity scenes. December 24 Christmas Eve Nochebuena Celebrates the eve of the nativity of Jesus, as both a secular and religious winter holiday. The traditional treats for this holiday are buñuelos, tamales and atole or champurrado. Sometimes they eat gelatina de colores (different flavors of Jell-O and a milk-based Jell-O mixed together to make a colorful treat) Las Posadas are celebrated nine days before Nochebuena, usually accompanied by a piñata party for children and dance music for adults. December 28 Day of the Innocents Dia de los Santos Inocentes On this day, people pull practical jokes on each other. It is equivalent to the U.S. version of April Fools' Day (April 1). People must not believe anything that other people say nor let them borrow any amount of money. If any person has fallen victim of the joke, the person pulling the joke will say ¡Inocente palomita...!, literally meaning 'Innocent little dove..!!!' (equivalent to saying April Fools!). December 31 New Year's Eve Víspera de Año Nuevo Mexicans celebrate New Year's Eve or locally known as Año Nuevo, by downing a grape with each of the twelve chimes of the bell during the midnight countdown, while making a wish with each one. Mexican families decorate homes and parties, during New Year's, with colors such as red, to encourage an overall improvement of lifestyle and love, yellow to encourage blessings of improved employment conditions, green to improve financial circumstances and white to improved health. Mexican sweet bread is baked with a coin or charm hidden in the dough. When the bread is served, the recipient whose slice contains the coin or charm is believed to be blessed with good luck in the new year. Another tradition is making a list of all the bad or unhappy events from the current year; before midnight, this list is thrown into a fire, symbolizing the removal of negative energy from the new year. At the same time, thanks is expressed for all the good things had during the year that is coming to its end so that they will continue to be had in the new year. Mexicans celebrate by having a dinner at 1:00am with their families, the traditional meal being turkey and mole, a tradition which has now spanned worldwide. Those who want to party generally go out afterwards, to local parties or night clubs. If you're in Mexico, you can still enjoy festivities in the street. In Mexico City there is a huge street festival on New Year's Eve; celebrations center around the Zocalo, the city's main square. Once can expect a lot of firecrackers, fireworks and sparklers being fired. At midnight there is a lot of noise and everyone shouts: "Feliz año nuevo!" People embrace, make noise, set off firecrackers, and sing Auld Lang Syne. ↑ "Ley Federal del Trabajo" (PDF) (in Spanish). January 3, 2007. Retrieved 2008-08-04. ↑ "Mexican customs for the New Year". Focus on Mexico. Retrieved 2010-12-31. ↑ "New Year's Eve in Mexico - Año Nuevo Celebrations". Gomexico.about.com. 2010-12-23. Retrieved 2010-12-31.